If you’re the regular kind of shopper, chances are you’ll inevitably feel indecisive when confronted with all the available options out there. This goes true when trying to choose a metal lathe as well as there are just too many brands and models in the market. 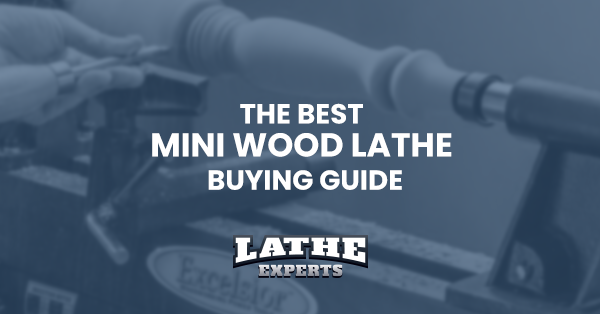 To make things easier for you, we’ve narrowed down your options by coming up with this buying guide containing our quality suggestions. So, how do you exactly determine which machine is right for you? Here are the top three factors to consider before making your buying decision. How big are your metal turning projects? The answer to this question will determine the two important specifications that your equipment needs to have – swing over distance and distance between centers. Swing over distance is the maximum diameter of the workpiece that can be handled by the machine. On the other hand, the distance between centers is the maximum length of the material that the machine can accommodate. Before buying, be sure to check out these two capacities to ensure that the product you choose can handle the size of your metal turning projects. This might seem a no-brainer, but this aspect can be easily overlooked especially if you are too excited to get your hands on your new machine. Always check the dimensions before pressing that buy button so you won’t have to go through the ordeal of returning the product. In fact, make sure that you still have enough room to spare since you still need to move around the machine while working on your projects. We might want the best the world has to offer but the reality is, we will always be constrained by the budget we allocate for a specific purchase. Once this budget ceiling is set, you can then try to look for the best option within that price range. 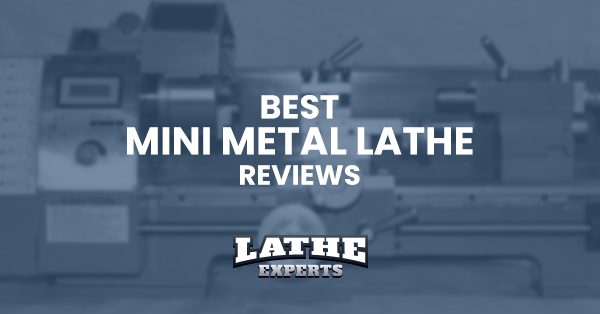 After searching and comparing all the machines we’ve found, we found a machine that is a cut above the rest - the BestEquip Maintenance Free Mini Bench Metal Lathe. 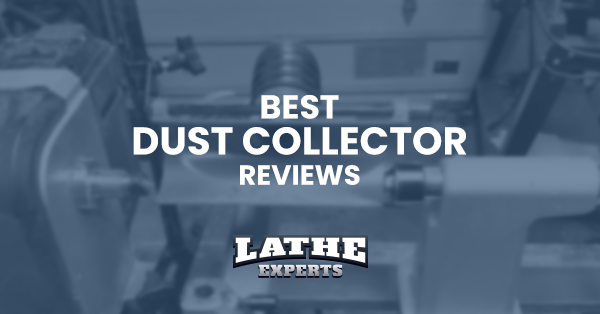 This impressive machine has all the features you need to get any metal turning job done and, coupled with its high quality, durable construction, and solid overall performance, we simply have no choice but to make it our top overall pick. 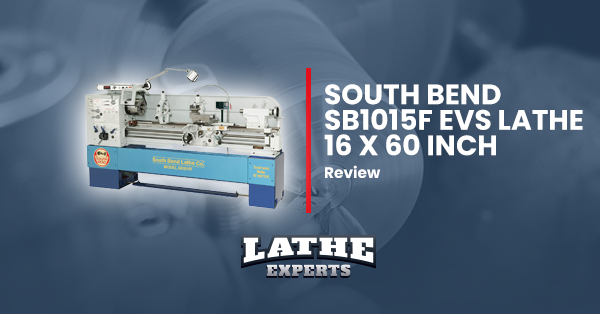 While it is classified as a mini-sized machine, it can handle larger projects that its peers can’t accommodate, thanks to its lengthier distance between centers which measures 15 ¾ inches and a larger swing over capacity at 8 ¼ inches. It has a longer service life thanks to its 750W (1HP) brushless motor which powers its variable speed (50-2500 RPM) spindle. Of course, there is a downside to having all of these impressive features and the main issue here is its price. It is currently available on Amazon at around $1,300 which, unfortunately, puts it over most people’s budget. But for an almost wear-resistant equipment capable of precision metal parts fabrication and modeling jobs, it is definitely a great buy for those who can afford it. 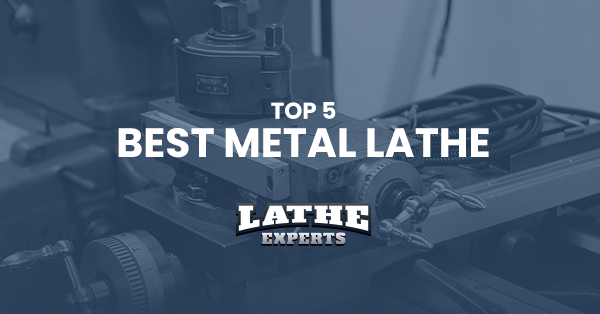 Metal lathes are one of the most versatile machines your workshop needs to have. But if you plan on fabricating some metal parts with as much accuracy as possible, you’ll need a machine specifically designed for precision operation such as the Erie Tools 7 x 14 Precision Bench Top Mini Metal Milling Lathe. This machine has a spindle accuracy of 0.0004 in. (0.01 mm) which makes it one of the most accurate options in its niche. 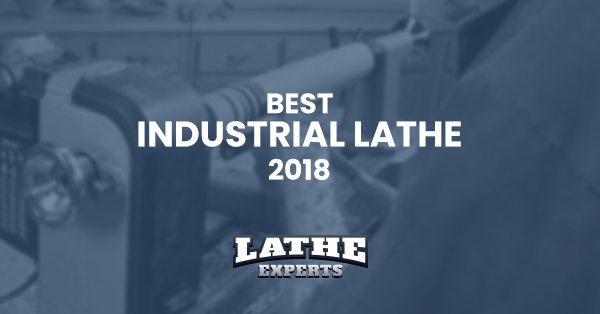 It also features a generously sized swing over capacity of 7 inches and a distance between centers measuring 14 inches making it longer than other mini-sized machines in the market. It has a 400 W, 0.53HP motor which, while slightly smaller compared to other brands, is powerful enough to handle metal turning projects this product is designed for. But before buying this item, you need to know some of the common complaints from people who own this product. For instance, its gears are made out of plastic which explains why they tend to break down much more easier compared to metal ones. But such an issue can be considered a minor annoyance since replacement gears are readily available. Every smart shopper knows that a great buy does not necessarily mean getting the cheapest option available, nor is it about getting the product with the most amazing features and specs. Rather it’s all about getting the product that gives you the best value for the money you’ve spent. A perfect balance between price and features is what you can find in the Grizzly G8688. 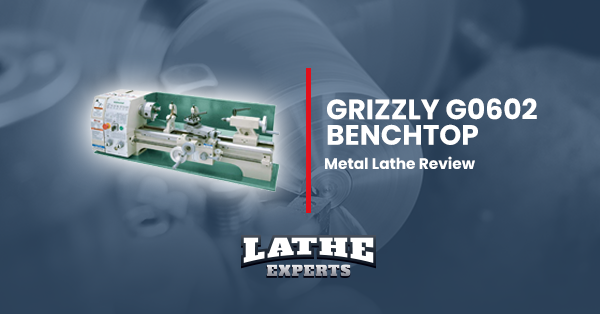 Established in 1983, the US-based brand Grizzly is well-known in the power tools and equipment niche for its wide range of high-quality products. The G8688 is targeted for those hobbyists and shop owners who only do light tasks. Seen in this light, it’s hard to find a machine that can beat the G8688 at its game. It has ¾ HP motor that powers its variable speed spindle which has a speed range from 0 to 2500 RPM. With its 12-inch between centers distance and 7-inch swing over capacities, it can handle most light metal turning tasks you can throw its way. Threading range is between 12 and 52 TPI and it has a reverse switch so you can make both right and left-handed screws. Unfortunately, this is designed for light tasks, which is to say it can’t handle the heavy workloads of bigger shops. There are also a few complaints about the workmanship of the machine as well as the user manual not containing the information they were looking for. For most buyers, a product’s price is a major factor when making a buying decision. But of course, it’s not the only factor to consider since if you go by price alone, you’ll end up buying a machine of low quality. 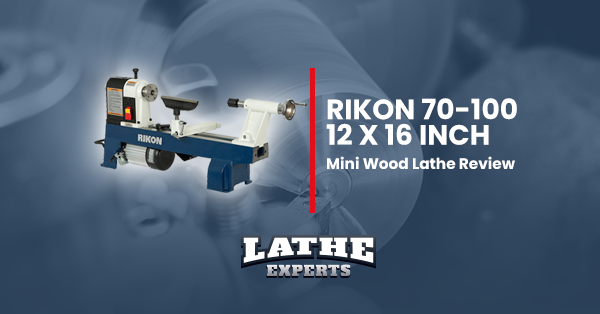 After doing some research, we found an option that’s affordable without sacrificing quality – the Central Machinery 7 x 10 Precision mini lathe. This product features an automatic feed and is powerful enough with its ¾ HP single phase motor. You have full control of its spindle speed which ranges from 0 to 2,500 RPM. Meanwhile, it has a thread range from 12 to 52 threads per inch. It also features a chuck guard with a microswitch for additional safety which makes it newbie-friendly. Its swing over capacity is a bit on the low side and measures only 7 inches while its distance between centers is 10 inches, which makes it smaller compared to other models. However, it works just fine as long as your workpiece size does not exceed those capacities. 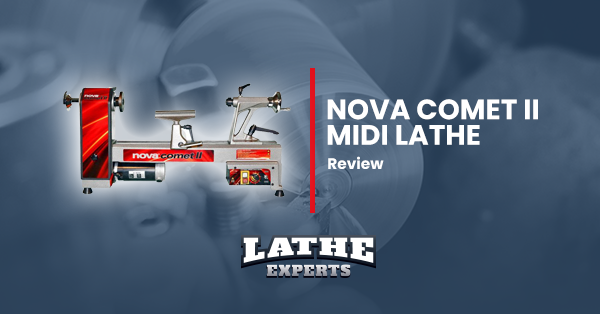 While mini-sized machines are versatile and powerful enough to handle most metal turning projects for hobbyists or smaller shops, the fact remains that they just can’t accommodate larger workpieces which also require machines with more powerful motors. If you are looking for a larger and more powerful machine, then Jet 321360A might be the perfect option for you. 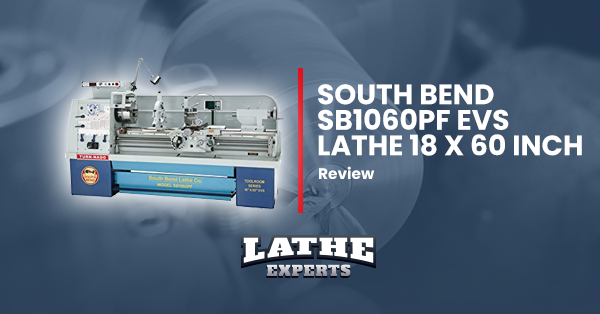 This machine is a full-sized option specifically designed for larger metal turning projects. It has a swing over capacity of 13 inches and an astounding 40-inch between centers capacity. 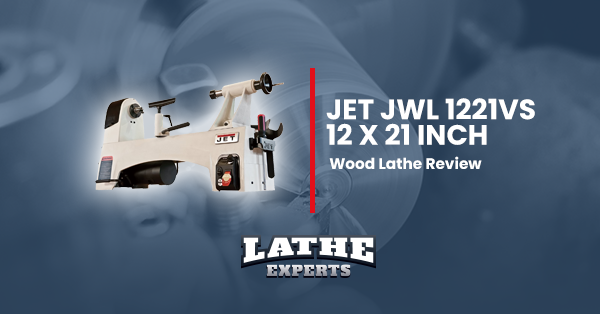 Working with projects this large requires a very stable machine but it’s not an issue with the Jet 321360A since it’s not only big, it weighs a whopping 1,175 pounds which makes it very stable. Aside from stability, larger projects also require a more powerful motor to get the job done. This machine does not lack power either as it has a 2HP motor which is strong enough for larger workpieces. This is a very excellent machine and we actually don’t find any problems with its operations. But if we have to come up with something negative about it, it’s probably its price, size, and weight. It’s offered on Amazon at around $6,850 which puts it way beyond the budget of most people. In addition, its large size and heavy weight make it too heavy to move around so better make sure where exactly you want it placed in your workshop. 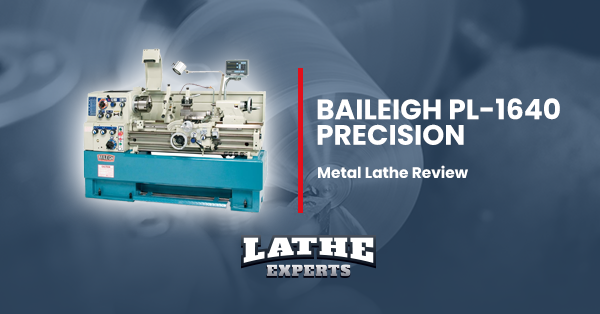 Metal lathes come in all shapes and sizes. By now, you’ve probably realized that we really can’t decide which option is perfect for you as only you know your specific needs and preferences. What we hope, however, is that you’ve found the equipment of your dreams in one of our suggestions. 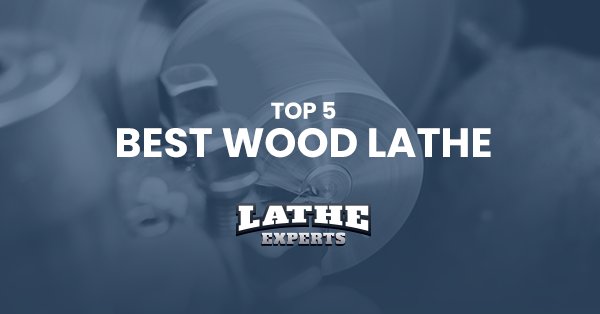 Or, at least, this buying guide has helped you understand better what to look for when buying a machine for your workshop so you can make the right choice on your own.